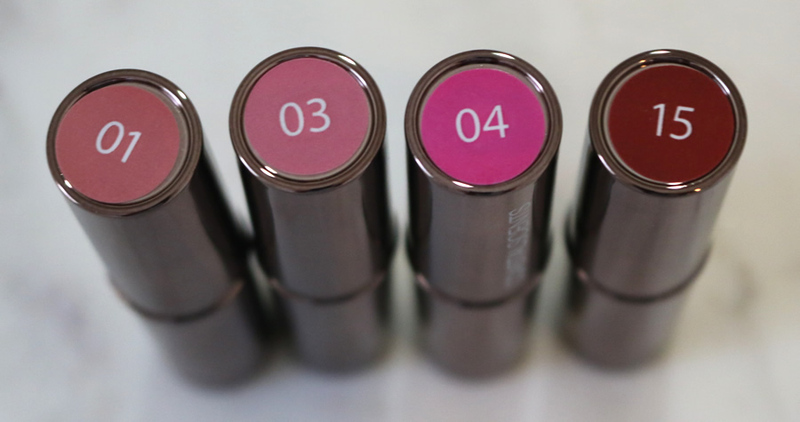 So we all know that you can get bang for your buck when it comes to lipsticks. 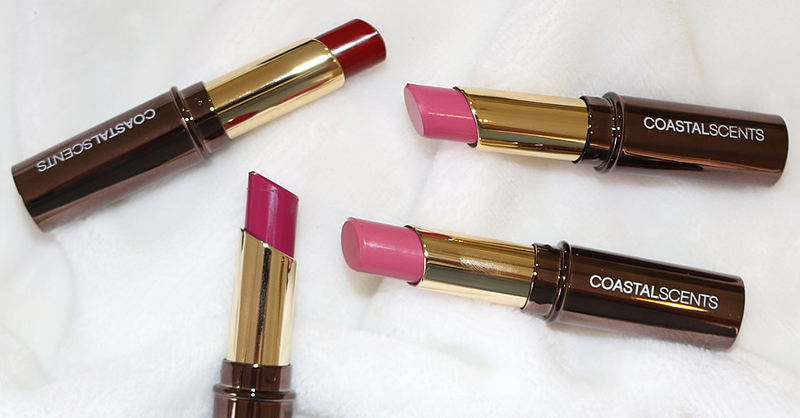 There are so many drugstore brands coming out with lipsticks that are nearly identical to a brand like Chanel or MAC. 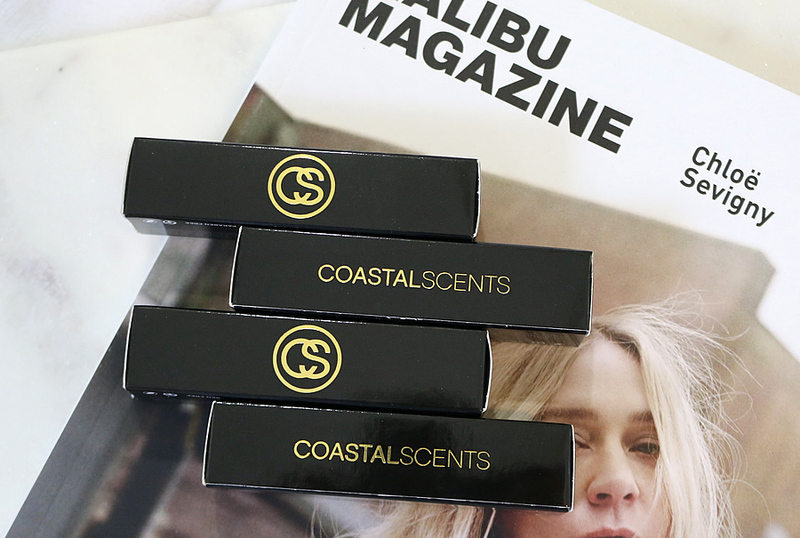 So when I heard about the Coastal Scents lipsticks and how they only retail for $3.95 each I knew I had to give them a go. How good is only having spend $4 on a lip product! It really allows you to experiment with a heap of colours or try out something a bit daring that you aren't sure will suit you so don't want to invest so much in. Read on to see if these make the cut. I purchased four shades from the collection - 01 (a creamy dusty pink), 03 (a medium toned mauve), 04 (a purple toned fuchsia berry shade) and 15 (a deep vampy red). From the swatches below you can tell that these shades have a rich and creamy consistency which is great because they glide on like a dream. They also stay in place really well and don't smudge at all. The pigmentation is seriously great! 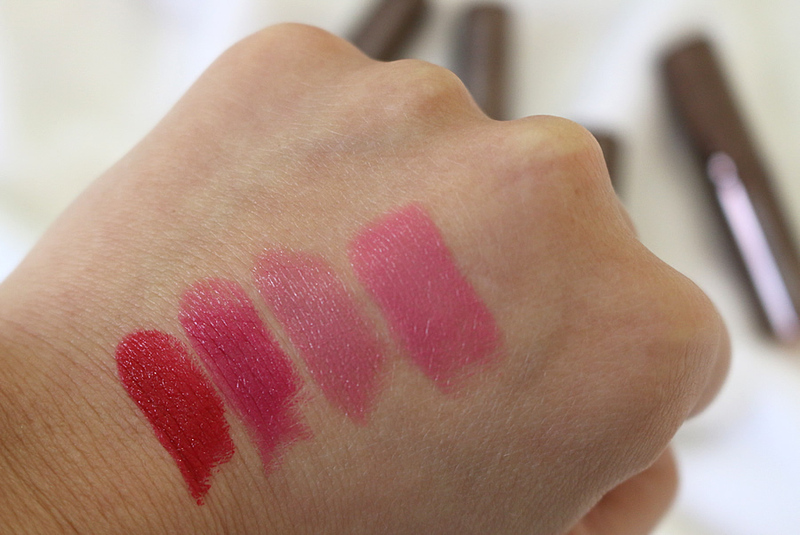 If you can see above how opaque these shades swatch - it's seriously impressive for a $4 lipstick. 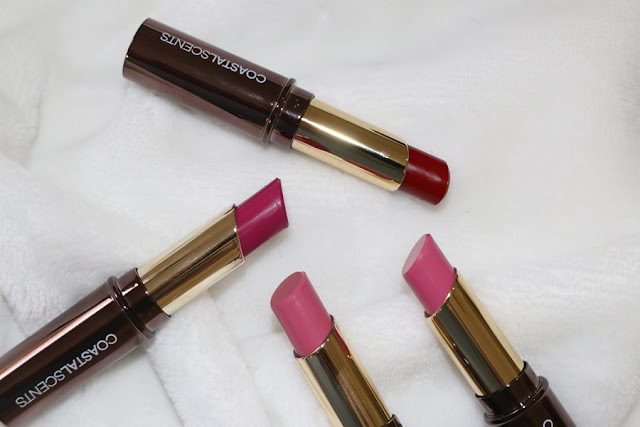 The main thing I love about these is their creamy formulation because usually you can get a cheap lipstick and the colour will look great but it will be super drying. These are extremely hydrating but as I also mentioned, they don't slip around all over the place. There are 15 shades part of this collection, which is a pretty good selection of colours. They have a real variety from nudes to daring bold shades so it is really great if you want to experiment with some daring colours you aren't too sure will suit you. Overall I would highly recommend checking out this Coastal Scents lipstick range because they truly are great quality and the small price is just a bonus which means you can stock up on some new lippies without it hitting your back pocket this holiday season!